Planning requires consideration of a number of factors, from both a business as well as an estate planning perspective. The timing of investment in your business is likely to have significant tax consequences depending on the nature of the investment. Businesses will be entitled to an immediate write-off of assets valued under $5,000 (up from $1,000 at present). You should take these measures into account when planning your business’s asset acquisitions for the next year or two. Your tax adviser can provide further guidance on these matters. End of year is a good time to consult with your tax adviser as to the tax implications of changing your business’s funding mix. If any of your business is either operated or held through a company or trust, you should consider now how to deal with the profits of the business at the end of income year. how much of your profits should be paid out as dividends or bonuses and how much should be retained for use by the company. This will be affected in part by any top up tax that needs to be paid by shareholders who receive a dividend. whether the current shareholding of your company is appropriate for your circumstances. If the market value of a parcel of shares has fallen below the cost base (for capital gains tax purposes) of those shares, this may be a good time to consider transferring the shares to other members of your family, or into a trust if you were thinking of doing so anyway. when considering the best ownership structure for your family, remember that from 1 July 2011, minors (people under 18 years of age) will no longer be able to access the low income tax offset in respect of any unearned income either in the form of dividends or trust distributions. This means that minors receiving more than $416 in unearned income from the 2012 income year onwards will be subject to penalty rates of tax, in some cases higher than the tax that would have been otherwise payable by adults. For a discretionary trust you should consider now who to distribute the trust’s income to on 30 June 2011. Discuss this with your tax adviser as there are many considerations here. Furthermore, if you intend to stream either capital gains and/or franked distributions to particular beneficiairies, or distribute to tax exempt entities (such as charities) in the 2011 income year, you should see your tax adviser to help make sense of the proposed changes to trust tax laws that have been introduced into Parliament on 2 June 2011. These changes are due to apply from 1 July 2010 (i.e. In respect of the current financial year) and will change the rules that apply to allow capital gains and franked distributions to be streamed. In order to apply these provisions, you may have to have the governing trust deed reviewed before 30 June 2011. In addition, you should make sure you understand the proposed anti-avoidance rules in relation to distributing to tax exempt entities, as the potential consequences of breaching these rules could be significant. The government is planning substantial amendments to the rules of trusts. These are in the process of being drafted, discussed in parliament and enacted as legislation. As such, this is an area that will see a lot of change over the next 12 months – and these changes may well affect you as a business owner and operator. You should seek updated advice from your tax adviser on the effect of these provisions for you once the provisions are enacted. Last year, the laws were changed so that any assets owned by a private company (such as for example a holiday house) that are used by either the shareholders or associates of the shareholders will result in a ‘deemed dividend’ that must be included in the assessable income of the shareholder. The value of the deemed dividend is the market value of the use of or right to use the assets in question. John is a shareholder of Fireworks Pty Ltd. Fireworks Pty Ltd owns a holiday house that is available for lease by holiday makers throughout the year. One weekend in June when the holiday house is not otherwise rented out, John and his wife Mary use the house for a short holiday of their own. If they had rented the house to holiday makers for that weekend, they would have been able to charge total rent of $250. Neither John nor Mary pay Fireworks Pty Ltd anything for the privilege of using the house for the June weekend. Both John and Mary will each likely be deemed to have received a dividend from the private company equal to the market value of the benefit that person has received (i.e. half the market value of staying in the house that weekend, or $125). You should consider whether company assets have been so used in the past financial year, and if so the value of the resulting deemed dividend. If you have assets in a company structure that are frequently used by shareholders, you should consider moving such assets out of the company. As we all know, the government has set up a range of financial tools for taxpayers whose business has been affected by the floods. In addition to this, there is a plethora of government grants, rebates and offsets that may be available to you depending on your circumstances. You should seek advice from your tax advisor to explore any such assistance that may be available to you, or visit www.australia.gov.au in the first instance. Taxwise® News is distributed by professional tax practitioners to provide information of general interest to their clients. The content of this newsletter does not constitute specific advice. 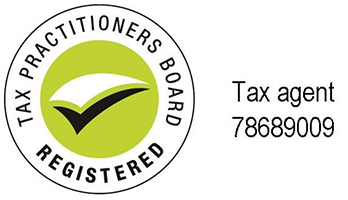 Readers are encouraged to consult their tax advisor for advice on specific matters.